Stop5G.net | #5G in Dutch Mainstream Media June 2018! #5G in Dutch Mainstream Media June 2018! 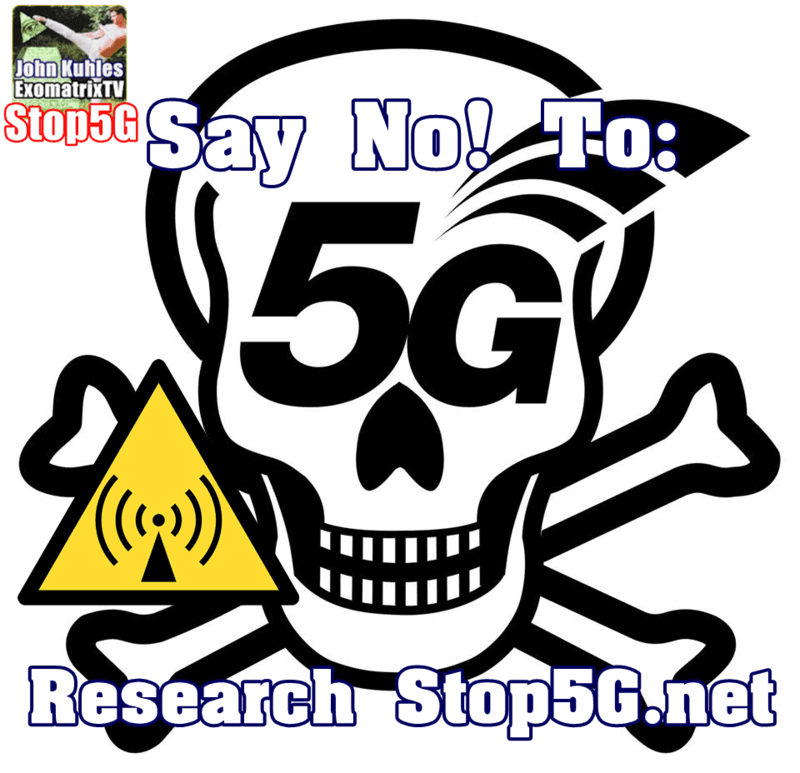 Posted June 6th, 2018 by admin & filed under 5G Cancer, 5G Cover Up, 5G Health Risk Assessment, 5G Health Risks, 5G Liability, 5G News, Dutch Stop5G, Electromagnetic Warfare, EMF Technology, Stop5G, Stop5G News, Stop5G Related!, Stop5G.net, Surveillance Society. The government is seriously considering opportunities to make the 3.5 GHz band available in the Netherlands for the new 5G network, the super-fast successor to the mobile 4G network. This frequency band is sensitive because they are used by the satellite dishes in the Frisian Burum on which the intelligence services AIVD and MIVD conduct their communication. State Secretary Mona Keijzer of Economic Affairs and Climate writes in a Letter to Parliament, together with the Ministries of Defense and Home Affairs, to look for solutions for the responsible provision of the 3.5 GHz band for the mobile 5G network. At the end of this year, the CDA minister wants to make a decision about this. Telecom companies, including KPN, have been worried about the rollout of 5G in the Netherlands for more than a year . The European Union has designated the 3.5 GHz band as the link for high-speed 5G traffic and critical communication. By making this frequency unavailable, the Netherlands would isolate itself in a European context. In her letter of parliament the State Secretary comes with six possible solutions or combinations thereof. 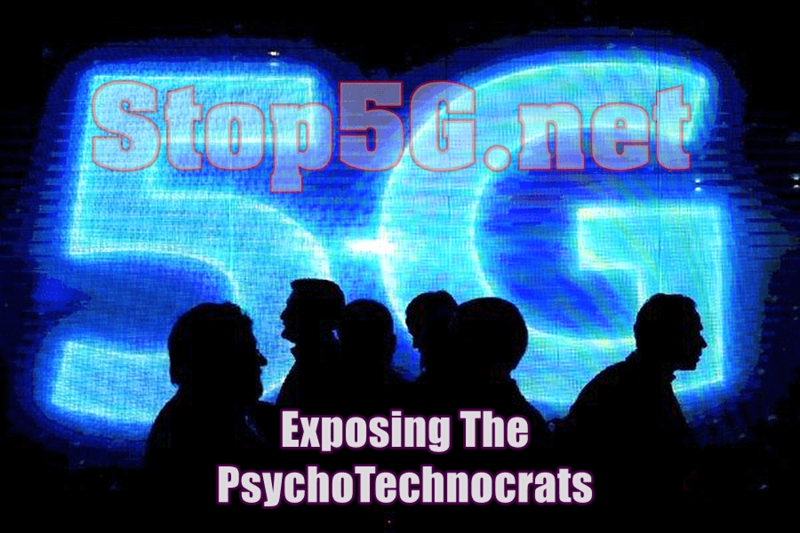 This includes the possibility to open up a part of the 3.5 GHz band for 5G over time, due to the possibly decreasing importance of this frequency for espionage targets. She also looks at another location for the spy satellites. When he retired as KPN CEO, in mid-April, Eelco Blok warned that the government was putting the digital top position of the Netherlands in Europe at risk if no solution was found for this problem. Blok was also worried about the auction for the 5G frequencies, which is scheduled for next year. He fears that the Cabinet will opt for the highest possible price, at the expense of investments in the infrastructure. The statements Blok made about this in the FD led to parliamentary questions from the VVD. In response, Keijzer wrote last week that the Netherlands has a good starting position in the field of digitization. On the Digital Economy and Society Index (Desi) of the European Union our country takes fourth place behind the Scandinavian countries. When it comes to the availability and speed of both fixed and mobile networks for internet, TV and telephony, the Netherlands is in the first place. “However, we are not allowed to rest on our laurels,” Keijzer writes. She therefore wants to come up with a Dutch digitization strategy before the summer. Fast internet is like electricity and water from the tap. So the Netherlands must be able to join the 5G network as quickly as possible, according to the House of Representatives. During the parliamentary debate everyone agreed: the Netherlands can not afford to catch up in the area of ​​the 5G network. The development is too important. With the faster internet, self-driving cars, robots and devices can be controlled on a large scale and large amounts of information can be sent. But there are a few bumps on the road that the government can not just polish away, says State Secretary Keijzer of Economic Affairs. For example, the European Commission is still investigating the merger between T-Mobile and Tele2. One of the important companies that will offer on the frequencies that make 5G possible. If there are no objections to the merger, the 700, 1400 and 2100 MHz bands will be auctioned among telecom providers by the end of 2019. If the merger creates problems and therefore takes longer, the auction is postponed. Another problem is that the international monitoring of the secret services AIVD and MIVD is hindering the rollout of the network, because they use a certain frequency, the 3.5 GHz. If there is also room for consumers there, this will cause malfunctions. 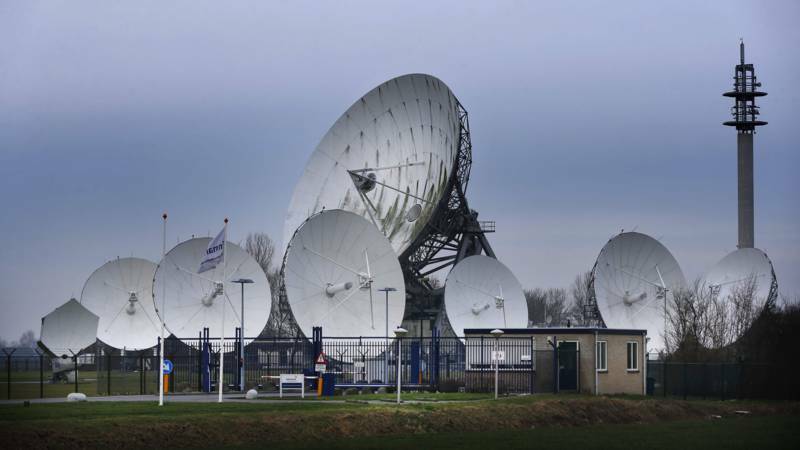 TNO is investigating solutions to these disturbances in the ground satellite station in Burum, which is used by the services. That is ready at the end of this year. Another solution is that the government will enter into discussions with foreign governments to find other ways of exchanging data. According to Keijzer, there is as yet no reason to assume that the Netherlands will lag behind in the developments. The auction of the frequencies for the super-fast mobile 5G network may shift from 2019 to 2020. The reason is the proposed acquisition of telecom company Tele2 by T-Mobile Netherlands, which is awaiting approval from European competition authorities. That said Secretary of State Mona Keijzer of Economic Affairs in a parliamentary debate about the introduction of 5G in the Netherlands. According to Keijzer, the conditions that the Cabinet wants to set during the auction depend on the market conditions and an advice on this from the Authority for Consumers and Markets. That advice is only available if there is clarity about the intended bundling of Tele2 and T-Mobile Netherlands. At the previous frequency auction, that of 4G, the government proposed favorable conditions for a fourth party. This was meant to boost competition. The Swedish Tele2 won this advantageously priced frequency. Nevertheless, the market share remained at around 5%, which at the end of last year led to want to go together with the number 3 in the market: T-Mobile Netherlands. The joining of forces depends on approval by Brussels. For the time being, it is still unknown when this happens. With an auction in 2020, the Netherlands will lag behind other countries in Europe, such as Germany. Initially, the Netherlands will offer the 700, 1400 and 2100 MHz bands. At the end of this year, Keijzer will announce whether and if so when the 3.5 GHz band will become available soon, which will become the standard elsewhere in Europe. Now Dutch intelligence services use this band. Keijzer promised the House that at the first auction of the 700, 1400 and 2100 MHz bands the clarity about 3.5 GHz will be there. It is crucial for telecom companies to have this information because they will take it into account in their investment plans, argued D66 MP Jan Paternotte. The partial deployment of the 5G important 3.5 GHz spectrum in the Netherlands may still be possible. This is what Secretary of State Mona Keijzer (Economic Affairs and Climate) writes in a letter to the House of Representatives. The 3.5 GHz frequency band is seen as very important for a full 5G network. However, a satellite earth station in Frisian Burum throws a spanner in the works. This station is used by intelligence services AIVD and MIVD to tap communications. The use of 3.5 GHz frequencies can disrupt these operations. As a result, 5G could not be offered in the Northern Netherlands. Intelligence services could, however, continue their activities with techniques such as MiMo and LSA, Keijzer writes. There is no final solution yet. TNO will also carry out research into the effect of the roll-out of future 5G networks on the satellite earth station in Burum. A decision can be taken before the end of the year. Het kabinet kijkt serieus naar mogelijkheden om de 3,5 GHz-band in Nederland beschikbaar te stellen voor het nieuwe 5G-netwerk, de supersnelle opvolger van het mobiele 4G-netwerk. Deze frequentieband ligt gevoelig, omdat ze gebruikt worden door de satellietschotels in het Friese Burum waarover de inlichtingendiensten AIVD en MIVD hun ­communicatie laten verlopen. Staatssecretaris Mona Keijzer van Economische Zaken en Klimaat schrijft in een Kamerbrief samen met de ministeries van Defensie en Binnenlandse Zaken te zoeken naar oplossingen voor een verantwoorde beschikbaarstelling van de 3,5 GHz-band voor het mobiele 5G-netwerk. Eind dit jaar wil de CDA-bewindspersoon hierover een besluit nemen. Telecombedrijven, waaronder KPN, maken zich al meer dan een jaar zorgen over de uitrol van 5G in Nederland. De Europese Unie heeft de 3,5 GHz-band aangewezen als dé band voor 5G-verkeer met hoge snelheden en kritieke communicatie. Door deze frequentie niet beschikbaar te stellen zou Nederland zich in Europees verband isoleren. In haar Kamerbrief komt de staatssecretaris met zes eventuele oplossingen of combinaties ervan. Daaronder de mogelijkheid om een deel van de 3,5 GHz-band op termijn open te stellen voor 5G, wegens een eventueel afnemend belang van deze frequentie voor spionagedoelen. Ook kijkt ze naar een andere locatie voor de spionagesatellieten. Bij zijn afscheid als KPN-topman, medio april, waarschuwde Eelco Blok dat het kabinet de digitale toppositie van Nederland in Europa op het spel zet, als er niet snel een oplossing wordt gevonden voor dit probleem. Blok maakte zich tevens zorgen over de veiling voor de 5G-frequenties, die voor volgend jaar op het programma staat. Hij vreest dat het kabinet voor een zo hoog mogelijke prijs zal kiezen, wat ten koste gaat van investeringen in de infrastructuur. De uitlatingen die Blok hierover in het FD deed, leidden tot Kamervragen van de VVD. In antwoord hierop schreef Keijzer vorige week dat Nederland een goede uitgangspositie heeft op het gebied van digitalisering. Op de Digital Economy and Society Index (Desi) van de Europese Unie neemt ons land de vierde plaats in achter de Scandinavische landen. Als het gaat om de beschikbaarheid én snelheid van zowel vaste als mobiele netwerken voor internet, tv en telefonie, staat Nederland op de eerste plaats. ‘We mogen echter niet op onze lauweren rusten’, schrijft Keijzer. Zij wil daarom nog voor de zomer met een Nederlandse Digitaliseringsstrategie komen. Snel internet is als elektriciteit en water uit de kraan. Dus ook Nederland moet zo snel mogelijk mee kunnen doen met het 5G-netwerk, vindt de Tweede Kamer. Tijdens het Kamerdebat was iedereen het er over eens: Nederland kan het zich op het gebied van het 5G-netwerk geen achterstand veroorloven. De ontwikkeling is te belangrijk. Met het snellere internet kunnen op grote schaal zelfrijdende auto’s, robots en apparaten in huis worden aangestuurd en grote hoeveelheden informatie worden verzonden. Maar er liggen een paar hobbels op de weg die het kabinet niet zomaar kan wegpoetsen, zegt staatssecretaris Keijzer van Economische Zaken. Zo onderzoekt de Europese Commissie nog de fusie tussen T-Mobile en Tele2. Een van de belangrijke bedrijven die gaan bieden op de frequenties die 5G mogelijk maken. Als er geen bezwaren tegen de fusie zijn worden eind 2019 de 700, 1400 en 2100 MHz-banden geveild onder telecomaanbieders. Als de fusie problemen oplevert en daardoor langer duurt, wordt de veiling uitgesteld. Een ander probleem is dat het internationale afluisterwerk van de geheime diensten AIVD en MIVD het uitrollen van het netwerk in de weg zit, omdat zij van een bepaalde frequentie gebruik maken, de 3,5 GHz. Als daar ook ruimte voor consumenten op komt, levert dat over en weer storingen op. TNO doet onderzoek naar oplossingen voor deze storingen in het grondsatellietstation in Burum, dat door de diensten wordt gebruikt. Dat is eind dit jaar klaar. Een andere oplossing is dat het kabinet in gesprek gaat met buitenlandse regeringen om andere manieren te vinden voor het uitwisselen van gegevens. Volgens Keijzer is er vooralsnog geen reden om aan te nemen dat Nederland gaat achterlopen in de ontwikkelingen. De veiling van de frequenties voor het supersnelle mobiele 5G-netwerk schuift mogelijk door van 2019 naar 2020. Reden is de voorgenomen overname van telecombedrijf Tele2 door T-Mobile Nederland, die wacht op goedkeuring van Europese mededingingsautoriteiten. Dat zei staatssecretaris Mona Keijzer van Economische Zaken in een Kamerdebat over de invoering van 5G in Nederland. Volgens Keijzer zijn de voorwaarden die het kabinet wil stellen bij de veiling afhankelijk van de marktomstandigheden en een advies hierover van de Autoriteit Consument & Markt. Dat advies ligt er pas als er duidelijkheid is over de voorgenomen bundeling van Tele2 en T-Mobile Nederland. Bij de vorige frequentieveiling, die van 4G, stelde het kabinet gunstige voorwaarden voor een vierde partij. Dit was bedoeld om de concurrentie aan te jagen. Het Zweedse Tele2 bemachtigde deze gunstig geprijsde frequentie. Desondanks bleef het marktaandeel steken op zo’n 5%, wat eind vorig jaar aanleiding was om samen te willen gaan met de nummer 3 in de markt: T-Mobile Nederland. De krachtenbundeling is afhankelijk van goedkeuring door Brussel. Voorlopig is nog onbekend wanneer dit gebeurt. Nederland blijft met een veiling in 2020 achter op andere landen in Europa, zoals Duitsland. In eerste instantie doet Nederland de 700-, 1400- en 2100 MHz-banden in de aanbieding. Eind dit jaar maakt Keijzer bekend of en zo ja wanneer de 3,5 GHz-band snel beschikbaar komt, die elders in Europa de standaard wordt. Nu gebruiken Nederlandse inlichtingendiensten deze band. Keijzer beloofde de Kamer dat bij de eerste veiling van de 700-, 1400- en 2100 MHz-banden de duidelijkheid over 3,5 GHz er zal zijn. Voor telecombedrijven is het cruciaal deze informatie te hebben, omdat zij er bij hun investeringsplannen rekening mee zullen houden, betoogde D66-Kamerlid Jan Paternotte. De gedeeltelijke inzet van het voor 5G belangrijke 3,5 GHz-spectrum in Nederland wordt wellicht toch mogelijk. Dat schrijft staatssecretaris Mona Keijzer (Economische Zaken en Klimaat) in een brief aan de Tweede Kamer. De 3,5 GHz-frequentieband wordt als zeer belangrijk gezien voor een volwaardig 5G-netwerk. Een satellietgrondstation in het Friese Burum gooit echter roet in het eten. Dit station wordt door inlichtingendiensten AIVD en MIVD gebruikt om communicatie af te tappen. Het gebruik van 3,5 GHz-frequenties kan deze operaties verstoren. Daardoor zou 5G in Noord-Nederland niet aangeboden kunnen worden. Inlichtingendiensten zouden echter met technieken als MiMo en LSA toch hun werkzaamheden kunnen voortzetten, schrijft Keijzer. Een definitieve oplossing is er echternog niet. TNO gaat ook nog onderzoek verrichten naar het effect van de uitrol van toekomstige 5G-netwerken op het satellietgrondstation in Burum. Nog voor het einde van het jaar kan dan een besluit worden genomen.